The American Chapter of the Order of the Crown of Thorns (subsequently also known as the St Louis Chapter) was planned directly by Prince-Abbot Joseph III as part of his intentions for the development of the Order after what he hoped would be his return to the United States. In the event, such development occurred in the hands of others after his untimely death in 1929 and the planned union with the mainstream of the Order was not achieved until 1960. It is from this tradition that the liturgy specific to the Order, the Rite of Perfection, derives. Jean-Baptiste (Joanny) Bricaud (1881-1934) was Patriarch of the Universal Gnostic Church in France. He was a Prelate-Commander of the Order of the Crown of Thorns and, together with his wife Eugénie, was of vital importance in the preservation of its archives and spiritual tradition in the last years of Prince-Abbot Joseph III. Bricaud had entered the minor seminary in preparation for the Roman Catholic priesthood, but instead took up secular employment in a bank and continued an extensive exploration of Gnostic and kabbalistic traditions that had begun while he was a seminarian. He had contact with French esotericists Elia Alta and Charles Henri Détré (Teder) (1855-1918) and became involved with the Eliate Church of Carmel and the “Work of Mercy” which had been founded in 1839 by Eugéne Vintras (1807–1875), as well as the Johannite Church of Primitive Christians, founded in 1803 by the Templar revivalist Bernard-Raymond Fabré-Palaprat (1777–1838). He became a member of the Martinist Order and in that capacity met Gerard Encausse (Papus) (1865-1916) who was head of that order, in 1899. The Gnostic Church in France had been established by Jules-Benoît Stanislas Doinel du Val-Michel (1842–1903), a librarian, Grand Orient Freemason and spiritualist. In 1888, while archivist at the Library of Orléans, Doinel discovered a charter dated 1022 by Canon Stephan of Orléans, who was a Gnostic forerunner of the Cathars and was burned at the stake in that same year as a heretic. This inspired Doinel to make a detailed study of Cathar and Gnostic teachings, and convinced him that it was Gnosticism that was the essential religious basis for Freemasonry. Following a mystic consecration by the avatar of Jesus Christ in a vision, Doinel announced that the year 1890 was to begin the “Era of the Gnosis Restored” and became Patriarch of the Gnostic Church. The new church was to have both male and female bishops, the latter to be known as sophias, and they would take a mystic name prefaced by the Greek letter Tau (which represents the Tau Cross) or the Egyptian Ankh. Among the first bishops consecrated by Doinel, who became known as Tau Valentin, was Papus. Membership of the church was restricted to those who, in the view of its hierarchy, were “of high intelligence, refinement and open mind”. The Gnostic liturgy was strongly Roman Catholic in influence (perhaps prefiguring a similar influence in the later Liberal Catholic Church), with a Gnostic Mass as the central ceremony, and two other main rites from the Cathar tradition, the Consolamentum and the Appareillamentum. In 1895, Doinel resigned as Patriarch and converted to Roman Catholicism. He now launched a series of bitter attacks on his former church, which naturally endeared him to the Roman hierarchy. However, he repented of this behaviour, and was readmitted to the Gnostic Church as a bishop in 1899 by his successor as Patriarch, Léonce-Eugène Fabre des Essarts (Tau Synesius) (1848-1917). It was Tau Synesius who consecrated the twenty-one year old Joanny Bricaud as a bishop of the Gnostic Church in 1901. 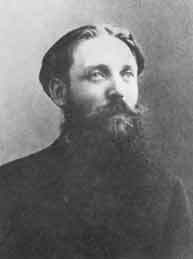 Papus, who wanted to see a more directly Martinist and Roman Catholic-modelled body than the more general esotericism of Tau Synesius, encouraged Bricaud to found his own church as a schism of the Gnostic Church, which he did in 1907, adopting the name Gnostic Catholic (from 1908 onwards, Universal Gnostic) Church and the title of Tau Jean II. Eventually, in 1926, the remnant of Tau Synesius’ church chose to unite with Bricaud’s UGC body. In 1908, an exchange of orders between Papus and Theodor Reuss (Merlin Peregrinus) (1855–1923), founder and head of the Ordo Templi Orientis, led to a commission to Papus in respect of authority within the Rites of Memphis and Mizraïm, and to Reuss in respect of establishing the UGC in Germany (which he did through subsuming it within the OTO). From 1911, the UGC was considered to be the official church of Martinism. Bricaud became of tremendous significance within the modern Gnostic movement in France, which has continued a lively and at times contentious existence since his time. We have already met Bishop Paulo Miraglia Gulotti, who had been consecrated by Prince-Abbot Joseph III in 1900. On 4 December 1904, Gulotti consecrated another French esotericist, Jules Houssaye (Abbé Julio) (1844-1912). Houssaye consecrated Louis-Marie-François Giraud (1876-1951) as Mar Louis on 21 June 1911. After Bricaud had become Patriarch of the UGC, he had contact with Giraud, who ordained him deacon and priest on 25 July 1912 and consecrated him on 21 July 1913, thus bringing the UGC within the Vilatte succession. In February 1922, Prince-Abbot Joseph III was in France once more, and there he began to correspond with Bricaud. They continued contact after his reconciliation with Rome in 1925, and from 1927 onwards, Bricaud and his wife-to-be Eugénie (Mother Angelique Sophia) (they would marry in December 1929) were key to Prince-Abbot Joseph III’s plans for the continuation of his work. By 1927, Prince-Abbot Joseph III had determined that he would not remain within the Roman Catholic Church. He had gained much-needed rest and respite from his time there since 1925, as well as welcome financial support through his Papal pension and from donors in the United States. However, he was frustrated by the Roman authorities’ unwillingness to allow him to celebrate Mass in public and felt that his mission demanded a more active witness. He intended to travel to the United States where he would conduct his mission through the Order of the Crown of Thorns and through the nascent Order of Antioch, which he planned in detail. In addition, it was planned that he would resume the headship of the American Catholic Church on the intended resignation of its Primate, Archbishop Frederick E.J. Lloyd. For many years it was thought that the documents and artefacts associated with Prince-Abbot Joseph III – all of which had been seen by the future Prince-Abbot Edmond I during his visits – had been either destroyed in a fire at his home, or seized and subsequently destroyed at his death by the Roman authorities. In fact, neither was the case. A great deal of thought went into the best place for the safekeeping of this substantial archive. As correspondence of the time shows, Prince-Abbot Joseph III viewed Prince-Abbot Edmond I as his closest friend (see letter from Prince-Abbot Joseph III to Prince-Abbot Edmond I of 19 July 1925: “you are my Chancellor-General and my most sincere and faithful friend for ever”.) However, Prince-Abbot Edmond I was at the time and for some years to come still a priest in the Protestant Episcopal Church. Prince-Abbot Joseph III remembered the ill-treatment he had received at the hands of that church, and understandably feared that his most prized possessions would not be safe in an Anglican vicarage. A decision was taken as a result that they should be entrusted to Archbishop Lloyd in Chicago, who was both independent ecclesiastically and possessed of considerable financial means. Correspondence between Prince-Abbot Joseph III and Lloyd was smuggled in and out by the Bricauds, without the knowledge of the Roman authorities, and this was then followed by the archives themselves. One letter refers to the skirts of Mme. Bricaud concealing more than her virtue! The Bricauds were key to the spiritual developments of Prince-Abbot Joseph III’s last years. A complete Missal, Service Book, Ritual and Pontifical was prepared by Bricaud under the nihil obstat of (and with an extended forward by) Prince-Abbot Joseph III. This is dedicated to Mother Angelique Sophia. It was subsequently translated from French into English by a professor of the University of Chicago under the commission of Mrs Lloyd. The nature of the work is esoteric, with a concluding section explaining its meaning with reference to Pythagoreanism, the symbolism of the triangle, and the use of Hebrew characters. There are three forms of the Divine Liturgy (the Rite of Perfection): one for bishops, one for priests, and one exclusively for the use of sophias. Although it might at first appear that Prince-Abbot Joseph III through his nihil obstat had given his support to the ordination of women in this Gnostic context, his subsequent response to Bricaud on the matter showed that this was not the case. In subsequent publications, the main form of this liturgy (the “Wadle Mass”, or “Divine Liturgy of the Antiochene Malabar Rite of the Holy Catholic Church”) has been referred to as originating under the authorship of Lloyd, but comparison has shown it to have originated with the Bricaud Missal. In addition, a complete plan was formulated for an American Chapter of the Order of the Crown of Thorns, under the patronage of St Louis. Central to this work was a jewelled pectoral cross given by Bricaud to Prince-Abbot Joseph III (photographed at right). At the beginning and end of each meeting of the Chapter, three gold-framed photographs were venerated: in the centre, of Prince-Abbot Joseph III wearing the Bricaud Cross, and to the sides, of Prince-Abbot Joseph III and Bricaud, and of Bricaud and Mother Angelique Sophia. 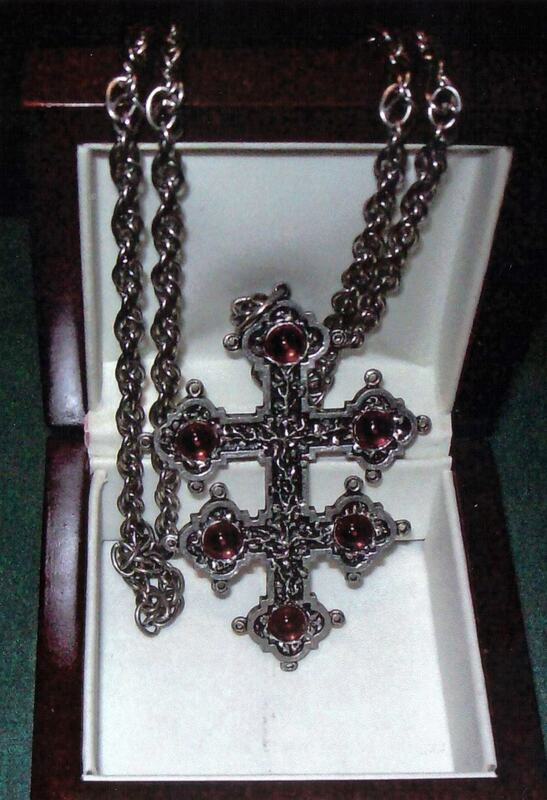 The Chapter members each wore the Bricaud Cross in rotation during meetings, regardless of ecclesiastical or chivalric rank. Unfortunately, relations between Bricaud and Prince-Abbot Edmond I did not proceed as planned. The intention had been for Prince-Abbot Edmond I to be fully involved (as befitted his office) in the American Chapter and the work taking place in Chicago. However, Prince-Abbot Edmond I regarded Bricaud as having turned Prince-Abbot Joseph III against him and having supplanted him as his closest friend and confidant for his own gain. Indeed, Prince-Abbot Edmond I went to his grave believing that Prince-Abbot Joseph III had betrayed him through reposing his trust in Bricaud. Prince-Abbot Edmond I rejected Bricaud’s approaches during the early 1930s and as a result the American Chapter was separated from the canonical jurisdiction of the Order as a whole, eventually becoming closed to non-members of the American Catholic Church. After the deaths of Lloyd in 1933 and Bricaud in 1934, the archives moved from Chicago to Laguna Beach in California where Archbishop Lowell Paul Wadle (1900-65) succeeded Bricaud. For several years, relations between Prince-Abbot Edmond I and Wadle were publically at odds – Prince-Abbot Edmond I condemning Wadle for his esotericism and heresy, and Wadle condemning Prince-Abbot Edmond I for his social respectability and “selling out” to the Episcopalians for a paycheck. However, in private, they formed a highly productive relationship.